The best use of a Saturday afternoon is reading a book, preferably as the sun streams through a nearby window or better yet, brightly overhead. My appointment calendar for 2016 is The Reading Woman, filled with pictures of great works of art of women reading. (Yes, I still use a printed calendar because I’m a paperphile and digital schedules don’t have pretty pictures.) I’d like to think I look like Gordon’s woman when I’m reading, all dressed up and bejeweled, wearing a jaunty hat. I’m immersed in frilly description and ponderous plot. But I should be cleaning. Copacetic is a great word. It means in excellent order. I use it when the boat of life is even keel. No waves. No storms. No holes in the hull. Things are copacetic right now. The boat is floating along the river, and I’m admiring the view. Or trying to. My Type A personality doesn’t always jibe with copacetic. I used to work in a newspaper newsroom where half the people were yelling into the phone and the other half were on deadline. And sometimes both. Constant crisis. I enjoyed it. I’m able to focus better and remain calm when craziness reigns. Time flies when work is like that. But when I dream of time off, I dream of afternoon coffees and books. Lots of books. And reading a book is most enjoyable when there are no waves or deadlines. It’s summertime, my goodness, when the living is easy! Why do book lovers talk about beach reads? There are waves, yes, but no deadlines on the beach. Ah, relax. A trip is coming up, and I dug up eight — yes, eight! — books I need to take with me (shh, don’t tell my Beloved — he says my books add unnecessary weight to the camper). Life is copacetic, and I’m going to enjoy reading some books. 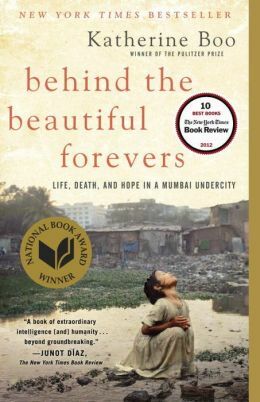 Well, reading the book gives me the opportunity to check off “a book with antonyms in the title” from my 2015 PopSugar Reading Challenge, but that’s the best I can say about Behind the Beautiful Forevers: Life, Death and Hope in a Mumbai Undercity by Katherine Boo. I hated this book. I spent money and time on it only so I could contribute to the conversation about it in book club. I wish I could forget the smell of trash and sewage, the images of death and the intractability of the problems exposed in this story. To be fair, many readers in my book club gave the book a 5 out of 5 rating for its investigative journalism and educational value. Behind the Beautiful Forevers is the story of Abdul (and about a hundred other residents — try keeping all of them straight) and his life in Annawadi, an illegal slum of trash, sewage and corruption outside the Mumbai airport. Author Katherine Boo, a Pulitzer Prize winning journalist, writes poetically and politically about the horrors of poverty in India; she thoroughly covers “life” and “death” but I found zero “hope” in the narrative. It’s a true story, I found out at the end in reading the author’s note. I wish it would have been placed at the beginning of the book. Though thoroughly documented (she goes to great pains to point out), I found Boo’s pitying, judging perspective to be overwhelming. This is one of those books that gets good reviews because the author suffered so much in getting the story (oh, and she’s from New York, at least part of the time; everything that comes out of the New York literary scene is wonderful). It uses a lot of big words — wow, I’m so impressed with your command of the English language (thank goodness I read it on Kindle with its click-to-define dictionary). This work is not for anyone who prizes a logical plot and compelling distraction. Behind the Beautiful Forevers is daring, I’ll give it that, and dark. Proceed at your own risk. Book clubs come in all kinds of flavors. Some book clubs are really just a social hour. There are the ones that meet only as an excuse to drink wine. A few book clubs — my dream book clubs, especially if they’re designed around memoirs — have themes and decorations and food to match the chosen book. Some book clubs actually discuss the book! Sometimes, members of book clubs dwell on the story. Some discuss in detail the writing, reading their favorite lines. 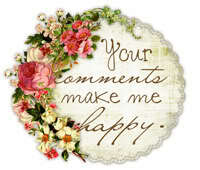 Some follow the reading club questions to the letter, some ignore them entirely. Some wish others wouldn’t spoil the story by revealing the ending (I hate those members — it’s a book club! Read the book!). I found a local book club, just by chance. The flyer posted in the laundry room listed this week’s book, The Story of Beautiful Girl by Rachel Simon. I’m counting it as “a book by an author you’ve never read before” (PopSugar 2015 Reading Challenge). Apparently Simon wrote a memoir about her developmentally disabled sister (Riding the Bus with My Sister) but I haven’t read it. Similarly, The Story of Beautiful Girl is about a developmentally challenged young woman, only this woman is entirely fictional. 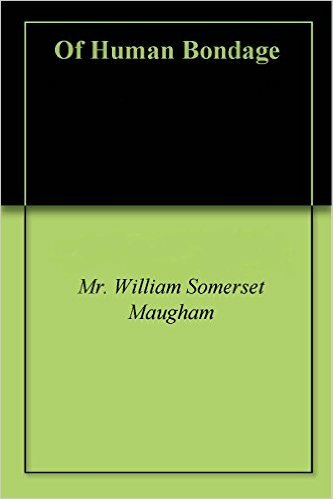 She gets pregnant, gives up her baby and loses her true love, a black deaf-mute man named Homan. Beginning in 1968, the story is about Beautiful Girl, but it’s also about those horrible state institutions where people like Beautiful Girl and Homan were relegated. Let’s just say, I liked the book club more than I liked the book. First of all, everyone read the book (except one lady, who hadn’t quite finished yet, but wasn’t one of those overbearing “don’t reveal the ending” types). We talked more about the story and the setting than the writing, but I picked up a lot of local gossip and neighborhood tips. Honestly, I didn’t care for Simon’s writing. A lot more “tell” than “show”: “Julia bounded ahead, her green dress, white suede jacket, and patent-leather Mary Janes making her more stylish than most people on the Cape, who preferred blue jeans and light jackets.” No. Please stop. If the patent-leather Mary Janes don’t play a role in the story, I don’t care. And, like so much fiction I don’t care for, the story was just a little too neat. It reminded me of Forrest Gump — an amazing story, sure, but everything just falls into place a little too perfectly. Simon, however, does an excellent job of creating suspense, and I was hooked after Chapter 1, even though I quibbled with some of the plot points. The book has appeal for reader who might know developmentally disabled people because Simon does a decent job of portraying the world from their perspective, but if that’s your interest, I’d recommend John Elder Robison’s memoir Look Me in the Eye: My Life with Asperger’s, which I appreciated more. On the other hand, if you’re reading it for a book club, it’s worth finishing!